This month-long holiday was established to get families excited about reading. As the weather turns cooler and activities turn indoors, reading together is a wonderful way to spend time having fun and making memories. Small children love being read to—and so do older kids! Sharing board books, picture books and chapter books that can be read at one sitting is always fun. Taking the journey of a novel together with tweens and teens can provide inspiring, emotional, funny, and bonding moments that last a lifetime. This week I’m excited to share five new board books from Little Simon and to be partnering with them in an amazing giveaway of all five books. Simon & Schuster sent me the books to check out. All opinions are my own. You’ll find details about the giveaway below. Watch every day this week for another terrific title! Roary is a little lion, who “LOVES to roar his big outside roar.” Like when he wants to “say hello to Daddy,” he sneaks up on him and “ROARRRR!” Then Daddy is so surprised he rips his newspaper, spills his coffee, and tips over the little table. Image copyright Alex G Griffiths, 2018, text copyright Ame Dyckman, 2018. Courtesy of Little Simon, Simon & Schuster. Roary thinks the new baby is so sweet. He just wants to say good night. Is this a good time for a Roary “ROARRRR! ?” No! Maybe you can show Roary what a quiet, inside voice sounds like. “You did it!” Roary thinks so too and whispers “Night-night. Sweet dreams” to the sleeping baby. When the baby wakes up, what kind of voice does she use? Well, let’s just say she and her brother should get along roaringly well! Ame Dyckman’s Wee Beasties series, including Huggy the Python Hugs Too Hard and upcomingTouchy the Octopus Touches EVERYTHING, introduces little ones to good manners and social skills that revolve around going out, meeting new people, and expressing their emotions. Several examples of “over doing” are followed by an opportunity for the young snake, lion, and octopus to do the right thing. They just need to learn how. Through a direct appeal for help from the narrator, kids can practice speaking quietly, hugging gently, and looking without touching. In Roary the Lion Roars Too Loud, Roary is a sweet cub who loves his Daddy, Mommy, and baby sister as well as a little bit of fun (and maybe a bit of mischief too). He doesn’t mean to be disruptive; he just needs to learn to use his quiet voice. Dyckman ends the story on just the right note. While Roary is proud of himself for using his indoor voice, his equally loud baby sister provides one more laugh to charm readers. Alex G Griffiths got the enviable job of creating mayhem from Roary’s loud ROARRRR! Tranquil scenes of Daddy quietly reading the newspaper and Mommy carrying a loaded tray of lemonade lead into slapstick panels of chaos, complete with toppled furniture, splashing drinks, lost eyeglasses, and slices of lemon that land everywhere, including on Roary’s head. Daddy and Mommy’s stern looks tell little readers that too loud is…well…too loud. Positive reinforcement for readers who “show” Roary how to use a quiet voice comes in the form of smiles, thumbs up, and confetti as well as an encouraging statement. When Roary whispers night-night, little ones will be happy to see Daddy giving him a big hug. A joyful way to teach toddlers and preschoolers important social skills, Roary the Lion Roars Too Loud and the rest of the Wee Beasties series would be an often-asked-for read for home and classroom bookshelves. To learn more about Alex G Griffiths, his books, and his art, visit his website. These lions love to play together, but they’ve gotten separated from their twin! Pair up the lions that look alike in this printable Match the Lions Puzzle. Today we celebrate the birthday of Noah Webster who published his first dictionary—A Compendious Dictionary of the English Language—in 1806 and went on to create the first truly comprehensive American dictionary in 1828. Along the way in completing his life’s work, he learned twenty-six languages, reformed the spelling of many words from the British form to an American spelling, and introduced new American words never before published. 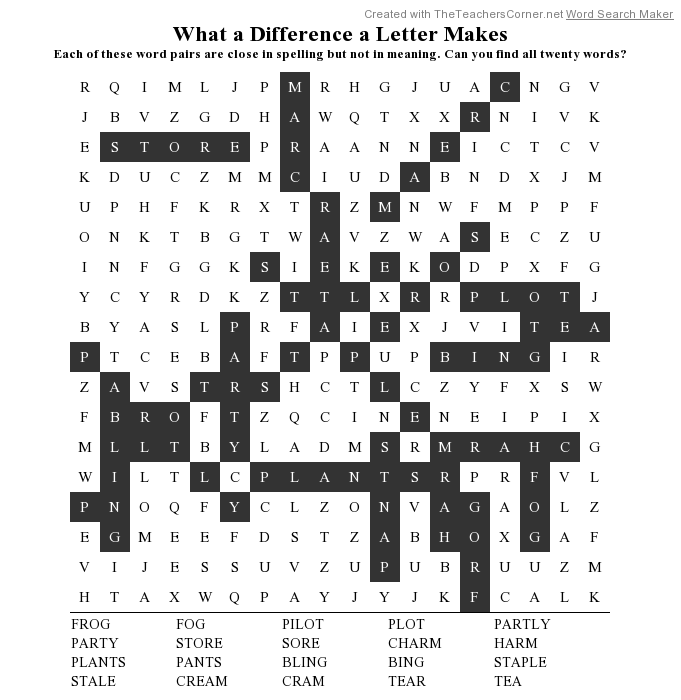 To commemorate the holiday, take a little trip through the dictionary or play a word-based game like Scrabble, Boggle, or Balderdash. If you’re interested in lexicography—the making of a dictionary—or just love words, you’ll find Webster’s 1828 Dictionary fascinating reading! Image copyright Jessie Hartland, 2017, text copyright Rebecca Van Slyke. Courtesy of Nancy Paulsen Books. Since there were so many words roaming around her ranch, Lexie herded them into sentences, long letters home to Ma, and even fascinating stories. But one day Lexie noticed that something was wrong. When she went to put on her bandana, the d was missing, and tying the banana was impossible. 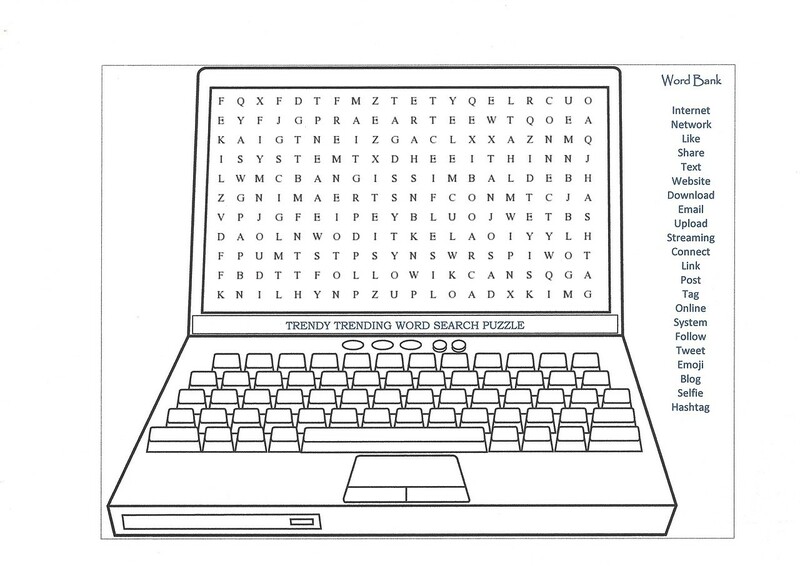 The problem didn’t just involve missing letters, either. Words were disappearing too, creating some pretty strange results. Once after a storm, a big red bow appeared in the sky instead of a rainbow. Lexie realized there was a word rustler on the loose and set out to find him. She headed into the desert, but discovered that the sandy ground had turned into a messy, gooey dessert. After cleaning out her horse’s hooves, she was more determined than ever to find the culprit. She climbed a tall tree and kept a lookout for the word rustler. Soon enough she spied him sneaking toward her front gate and the sign that announced Lexie’s Longhorn Ranch. He was just about to lasso the word “long” when Lexie lassoed him. Now Russell works alongside Lexie doing jobs like keeping the place free of rattlesnakes by wrestling them into “a baby’s rattle and a harmless snake.” Lexie and Russell are happy to raise baby letters, help words grow, and even teach young cowpokes how to rope and tie words together, so they can join the word-wrangling circuit in the future themselves. If Lexie got her lariat around Rebecca Van Slyke’s name and separated the S-L-Y from the K-E, she’d have the perfect description for this nifty story. Deconstructing words can be a fascinating way to get kids interacting with and researching words and spelling as they really think about what they are reading. Van Slyke’s ranch setting serves up an ingenious metaphor for the word wrangling that students are doing at this stage of their education. Her quick wit and smart word choices provide plenty of “ah-ha!” moments, laughs, and opportunities for visual humor. The introduction of Russell allows Van Slyke to increase her stable of puns, which will delight readers. Jessie Hartland’s vibrant, folk-style illustrations are a rip-roaring accompaniment to the story, providing visual clues and humor as words change due to missing or jumbled letters. Kids will laugh when one of Lexie’s bandanas turns into bananas and may shudder to think how easy it might be for rats to fill the night sky instead of stars. Hartland’s cleverly designed typography lets readers easily see how small words grow into bigger new ones with the addition of one, two, three, or more letters. Likewise, as “wild” words are tamed into a sentence, young writers can begin to understand the mechanics of grammar. A Dictionary of Wrangler Words follows the text. Lexie the Word Wrangler is an entertaining and educational choice for kids who love words, puns, and the West. It would be a welcome gift and imaginative addition to home libraries. The book would also be an inspiring starter for writing, spelling, and other language arts units. To learn more about Rebecca Van Slyke, visit her website. View a gallery of illustration work by Jessie Harland on her website. 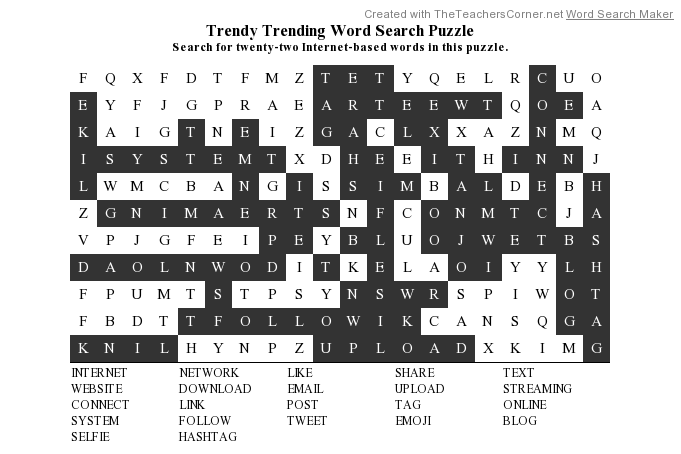 Each of the word pairs in this puzzle are close in spelling but not in meaning. 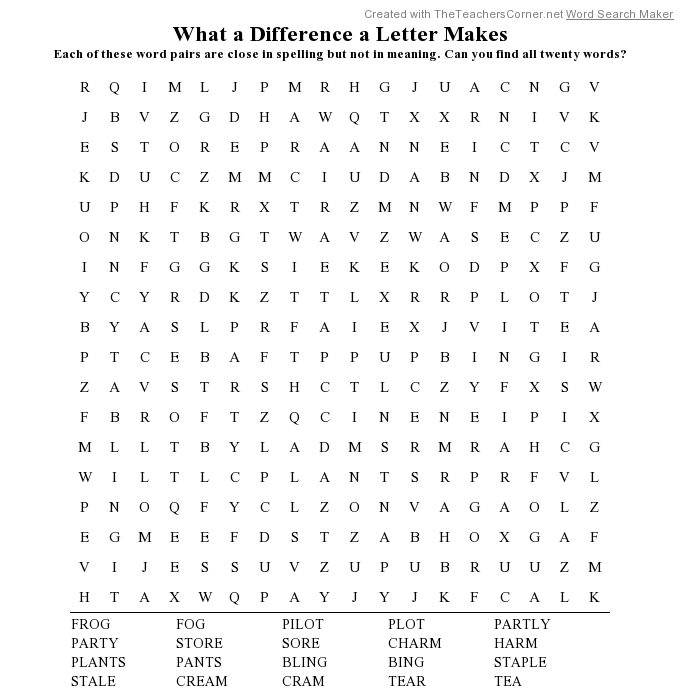 Take a look and find the twenty words in this printable What a Difference a Letter Makes Word Search Puzzle. Here’s the Solution. Letters don’t have to be those long missives sent in envelopes with stamps affixed. A note to a friend, a message included in a child’s lunch sack, or a post-it stuck where a co-worker can see it are are all ways to write a few encouraging words to those you love. Today, why not put your thoughts on paper and send or give your letter to someone you’d like to connect with? Framed by his window Kuma-Kuma Chan, the little bear, sits at his writing desk penning a letter. It says simply, “How are you? Come visit me soon.” When it is received, Kuma-Kuma Chan’s friend begins the long journey to see him. “I have to ride a train for an hour, take a bus for thirty minutes, then walk for fifteen minutes,” the boy states. From the bus stop, the boy can see the red roof of Kuma-Kuma Chan’s house in the distance, and as he approaches he sees hisfriend waiting outside to welcome him. The boy has been here before and once more enjoys the routine as “Kuma-Kuma Chan serves bear tea. The first thing he always does is serve bear tea,” the boy explains. It seems that the time between visits has been long, and at first the silences are longer than the conversation. In the quiet the boy watches “the dust floating around in the afternoon sunbeams” and looks “at the books on the shelf,” reading “the titles one by one….” Meanwhile Kuma-Kuma Chan may be having second thoughts about his hospitality. He “gets up and opens the window to let in some fresh air” and checks the expiration date on the bear tea. By the time Kuma-Kuma Chan serves the rice crackers conversation comes easier. For dinner Kuma-Kuma Chan prepares a salmon dish as always. It is, the boy thinks, his favorite and “perfect for a bear.” After dinner the two watch television and enjoy a mutually favorite snack of chocolate and hot milk. Soon all of the chocolates the boy brought are gone and it is time for him to catch the last bus home. He slings his backpack over his shoulders and says goodbye to Kuma-Kuma Chan, who invites him to come back soon. Framed in the golden light of his doorway, the little bear waves farewell to his friend as he ventures out into the sapphire blue night. Kazue Takahashi, a Japanese illustrator and children’s book author, employs kawaii—the quality of being cute and adorable—in creating her quiet, moment-in-time story that focuses on the essence of true friendship. The boy and the little bear are happy simply being together. The details of the day that Takahashi chooses to highlight are ones that we as adults might overlook, but which for children are still new and fascinating: the way Kuma-Kuma Chan’s house “smells slightly of bear,” a self-consciousness on the part of a host, the desire of each party to please the other. Each right-hand page contains a central image that highlights the spare text presented on the left-hand page. The white space surrounding the illustrations, which are free of all extraneous details, echoes the openness of the storyline. The only two-page illustration spreads come at the beginning of the story, when Kuma-Kuma Chan stands at his door welcoming the boy, and at the end, when the two are saying goodbye, emphasizing the connection of their friendship and perhaps also the distance between them when they are apart. The muted colors and downy texture of the images enhances the sweet charm of Kuma-Kuma Chan, who is no bigger than a thumbprint. Kuma-Kuma-Chan’s Home would appeal to a varying age-range of children—and even adults. Young children would enjoy discussing the story page-to-page, while older readers would like the quiet respite the book offers. It’s depiction of a one-on-one friendship would be welcomed by introverted children as well. Kuma-Kuma Chan’s Home is a perfect little book to keep on personal library shelves for those times when companionship—and cuteness—is needed. Today, take a little tea time and write a short letter to a friend, a family member, or a coworker. 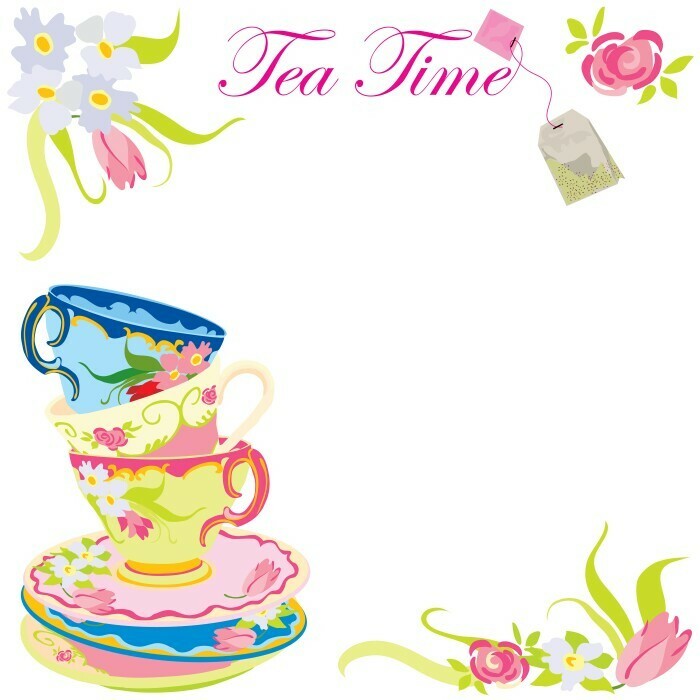 Print out this Tea Time Stationery and get started! Sometimes life takes a bit of finessing. When you’re stuck between two seemingly opposing positions, it can be hard to know what to do. 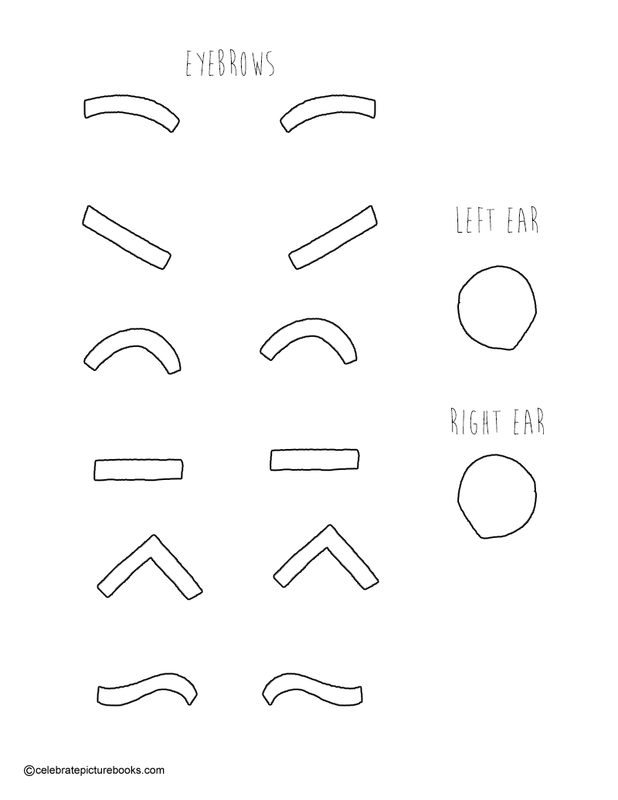 Do you choose one side over the other, or is there a better way? Today’s holiday promotes the art of negotiation, that delicate “threading the needle” balance that actually does satisfy all sides involved. Many times both sides just want to be heard and understood. Good and open communication can lead to solutions and make everyone feel empowered. The finches were a talkative bunch. In the morning the flock traded “good mornings”: “‘Good morning, Aziz Finch!’ ‘Good morning, George Finch!’ ‘Good morning, Tiffy Finch!’ ‘Good morning, Henry Finch!’” In the afternoon, they wished each other “Good afternoon!” Evening brought wishes of “Good evening!” And “at night, they said GOOD NIGHT.” The next day the round robin salutations began again. They were only interrupted when the Beast came. The next morning the Beast did come. Henry envisioned himself standing atop the vanquished Beast and decided now “was the time for greatness.” Screaming his name, he flew directly at his foe…and was…swallowed. Inside the belly of the Beast, Henry had disparaging thoughts. “YOU ARE A FOOL, HENRY FINCH, he thought.” He regretted becoming the beast’s dinner. His troubled mind raced ahead through what would happen to him in the Beast’s digestion process, and yet he continued to think. Alexis Deacon’s unique tale is sure to raise plenty of giggles and “Oh, no’s!” followed by more giggles and finally cheers as Henry comes to terms with his greatness and, despite his diminutive size, figures out a way to vanquish the Beast. Like René Descartes before him, Henry comes to the conclusion that “I think, therefore I am,” and with pluck and self-confidence decides that his existence warrants attention and respect. Deacon’s inspirational story is perfectly aimed at his young audience who are just beginning to “have thoughts” about who they are, who they want to be, and what they want to do. Henry’s wavering and uncertainty are presented with honesty and humor that will resonate with kids, and his final victory is a joy. Viviane Schwarz could not have hit upon a more ideal way to depict Henry and the other finches than in the red fingerprints that determine their individuality. With only a few changes to his sketched-in features, adorable Henry becomes sweet, fearful, resolute, courageous, and of course thoughtful. The blue Beast with its mold-green tongue dominates the pages when it appears and dwarfs the tiny birds and other creatures it slurps up. When Henry is eaten and slides through the Beast’s digestive system, the pages turn appropriately black until Henry decides that “NO!” he is not going to become dinner today. A two-page spread of the life cycle for birds, insects, snakes, rats, plants, and even the Beast is a beauty. I Am Henry Finch is a book that stirs emotions and stimulates discussion, and Henry—like another literary Finch who refused to accept the status quo—is a terrific hero to add to any home bookshelf. 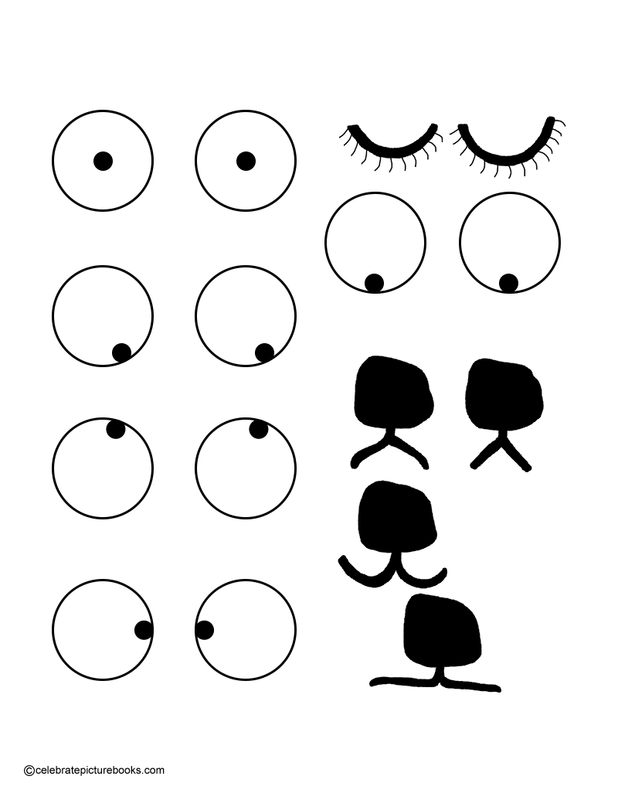 You’ll find more about Viviane Schwarz, her books, and her Cat and Bag web comic as well as videos, worksheets, and other goodies on her website. Everyone can make a difference by taking time to talk to friends or others when problems come up or opinions vary. How do you keep a conversation productive and possitive? 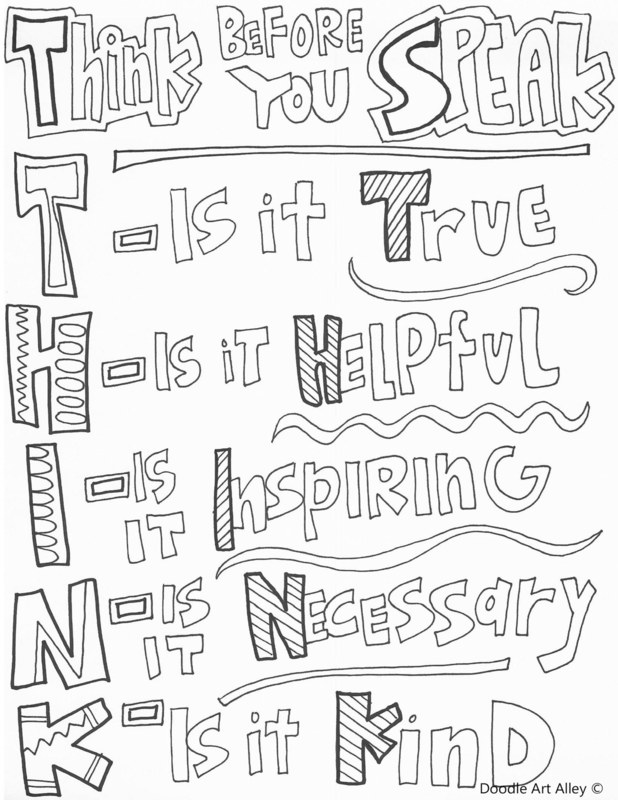 Print out this Think Before You Speak Coloring Page to remember the rules of beneficial communication. Sure, body language can say a lot, but effectively expressing yourself in words and writing helps decrease misunderstandings, misinterpretations, hurt feelings, and conflict. Learning to handle important relationships and work obligations with thoughtful care, consideration, and empathy can take patience and practice. This month people are invited to work on their communications skills to enhance their life with family, friends, co-workers, and others. A little frog floating on a lily pad in the middle of the pond pipes up, “‘I’ve seen that look before.’” Bear stares at the frog and the frog stares back. “‘Not much fun being stared at, is it?’” he says. Bear confesses that he just doesn’t know what to say to anyone. Just then Bear catches a glimpse of another bear staring back at him from the mossy water of the pond. This bear looks exactly like Bear, except that he is green and wavy. Suddenly, the green bear smiles. “‘You see?’” says the frog. “‘Sometimes a smile is all you need.’” The frog dives off his lily pad into the pond, and the green bear disappears too. The next day Bear leaves his den and discovers the ladybug family breakfasting again. As soon as they spot Bear, they begin to gather their things. “‘Hello!’” Bear says with a big smile on his face. The ladybugs are surprised and happy. “‘Oh, hello!’” replies the dad, smiling back. With renewed confidence Bear wanders into the forest. He smiles at the birds and smiles at the badger, and they smile at him in return. Bear makes a lot of new friends that day. And there’s even that friend down at the pond who likes to stare as much as he does! Duncan Beedie highlights the awkward feeling many kids—and even adults—often feel in social situations. Nothing pops immediately to mind to say and yet there’s a desire for connection. As Bear discovers, staring is not the answer—so what is? In The Bear Who Stared, Beedie offers a simple, but universal solution through an engaging and humorous story. Bear, sporting a bemused expression that aptly depicts his predicament, is such an endearing character that readers will wish they could give him a hug as he suffers slights from the woodland creatures. The full-bleed, oversized pages put readers at eye level with bear and his subjects, and the very up-close look into Bear’s staring eyes will make kids laugh. The green, rust, and blue palette on matte paper is bold, but muted, giving the pages an organic, environmental feel that is perfect to carry the story. The Bear Who Stared is a funny story time read with a heart that kids will ask for again and again. Check out more of Duncan Beedie’s illustration and animation work on his website! Take a good looong look at this The Bear Who Stared book trailer! Sometimes it’s hard to know what to say or how to express your emotions and thoughts. With this easy-to-make felt (or paper) set, you can give the bear different emotions and talk about them, make up stories to go with each facial expression, or play a fun game. Below, you’ll find a couple of ideas! 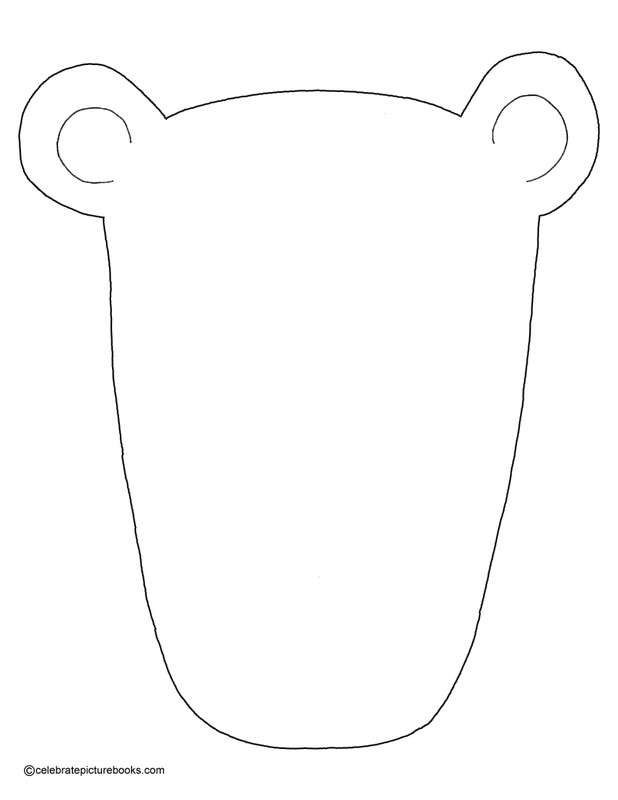 Roll the die to collect parts of the bear’s face. The first player to create a full face is the winner.